Hi Folks. Just a quick shout out to everyone there’s still availability for the long weekend so don’t hesitate to call or drop by the Oak Bay Marina here in Victoria and book a fishin trip for the long weekend things are just starting to heat up out there as long as the elements cooperate with us life should be good. 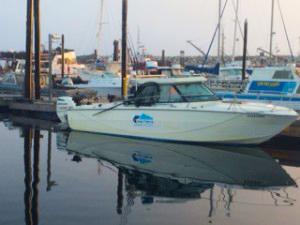 So call and book today for some of the finest salmon and halibut fishing right here in Victoria BC. Oak Bay the hidden gem of Victoria BC sports fishing. Thanks again folks and have a great and safe long weekend god bless to you and yours. Oh and Happy Birthday Canada your the best Country in the world. Vancouver Island BC is my BC this is my Canada. Ha Ha It’s my Island yarr!! :) See ya soon folks tight lines and tips up. https://www.vanislefishing.com/wp-content/uploads/2018/09/logo.png 0 0 Steven https://www.vanislefishing.com/wp-content/uploads/2018/09/logo.png Steven2011-06-30 23:21:152011-06-30 23:21:15HAPPY CANADA DAY!!! !